The MCRD Museum Foundation, originally formed as the MCRD Museum Historical Society, was formed in 1988 to promote the legacy of the Marine Corps through historic preservation and conservation, free education programs, and community outreach initiatives that enrich the lives of Marines, sailors, and the communities they serve. The Museum Foundation is a non-profit corporation organized for educational and literary purposes as defined under section 501 (c) (3) of the internal revenue code. Over the course of nearly 30 years, the Foundation has contributed millions of dollars and untold hours of volunteer services that have resulted in the Command Museum’s elevation to world-class distinction. 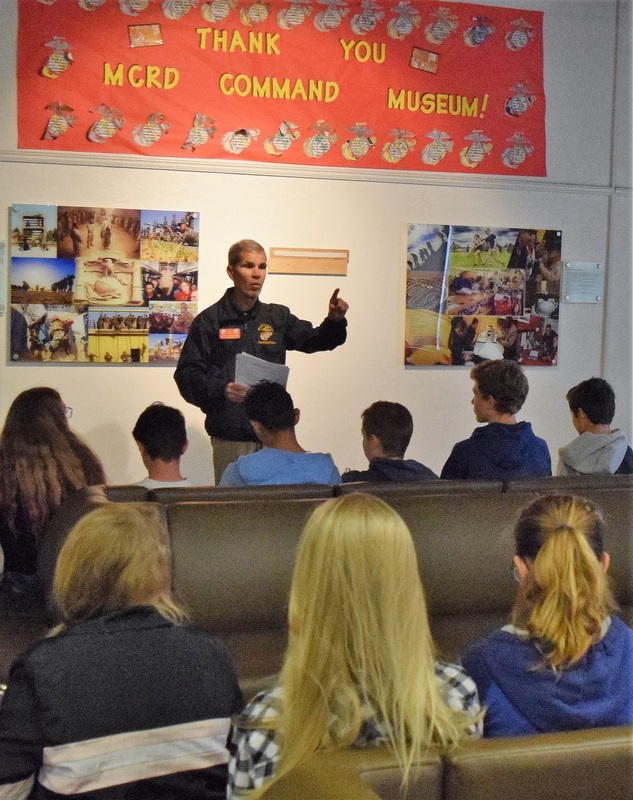 The Museum Foundation supports the Museum’s programs to promote and preserve Marine Corps history, educate youth through character education, and strengthen the bonds of community between active duty, veterans, and families. The Museum Foundation also provides scholarships, awards, and other forms of direct support to Marines on the Depot/WRR. The Museum Support Regiment was designed as a way for donors to "give a little and get a little." Supporters receive exclusive Museum memorabilia such as shirts, hats, a shop discount, and even custom dog tags to be displayed in the Museum or mailed to you. Whether as a one-time contribution or annual gift, our basic level starts at just $35! To support the Museum with a tax-deductible gift, you can contribute online, in person, or via mail. Donations may be made in honor/memory, to a specific campaign or event, or as a general donation. We are deeply grateful for any amount you can give- every dollar counts! Please call us today with any questions. Thank you. We're looking for a few good volunteers! The Museum has a wide array of volunteer needs, and no military experience or knowledge is required. If you're interested in volunteering, please check out our opportunities and contact us today to learn more. The Museum and Foundation each have a select number of internship openings each year, which are competitive. College undergraduates and recent graduates are encouraged to apply.